I’ve written before about ‘nature deficit disorder’, and the way that 21st century children have far fewer opportunities to encounter nature than previous generations. Without access to wild spaces, children live sedentary lives, with all the associated health problems. They lack freedom and adventure, and make up for it in screen time. And they risk growing up without developing a love for or curiosity about nature. There’s an increasing awareness of this phenomenon and its potential consequences, and some creative responses. The National Trust has done some excellent work on it with their ’50 things’ campaign. There’s the growing Forest Schools network, books and documentaries like Project Wild Thing. Into that movement comes Learning with Nature: A how-to guide to inspiring children through outdoor games and activities, by Marina Robb, Victoria Mew and Anna Richardson. All three authors are experienced practitioners, and the book speaks with real authority. You get a sense that all these activities have been tried and tested and refined over the years. Every page is illustrated with multiple photographs, and Green Books have invested considerably in the presentation here. The result is a book of outdoor ideas that just beg to be tried. There are games, lots of them. Some are team building or encourage children to move and gain confidence in outdoors spaces. 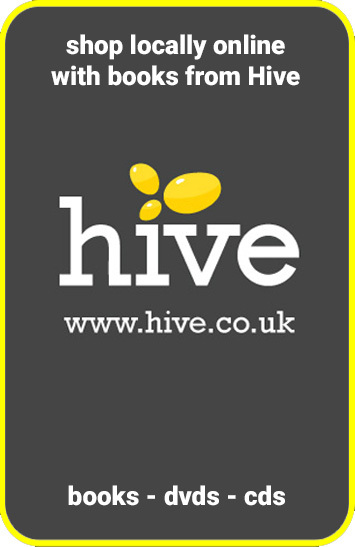 Others are based on animal behaviour, incorporating ‘invisible learning’ about animals and their habitats, or the relationships between predators and prey. There are survival skills around fire, shelter-building or how to find and purify water. Other activities find fun ways to encourage children to identify species or to learn to listen and observe. Some of them are rowdy, running around games. Others are surprisingly quiet and contemplative. There are more complex things to try with older kids, such as burning out a bowl with embers and carving your own spoons. Some of the most inspired are also the simplest. Perhaps my favourite is ‘camera kids’, in which children pair up and use their partner as a ‘camera’. When they find something worth capturing, they turn their friend to it, line them up, and ‘take a picture’ by tweaking their earlobe. It sounds like a wonderful way to encourage children to find beauty in nature, and a simple way to turn that wonder into a shared experience. As a young father myself, I’ve noted down a couple of dozen things to get out and do, particularly since there are seasonally themed sections. I grew up with plenty of access to wild places and adventure, I’m very aware that my own children don’t have that opportunity in our urban context. There are a whole pile of things to try here, so that when we are out in the woods, we can be a bit more purposeful about learning and engaging with the outdoors. The book has useful lists of what you’ll need for each activity and tips to vary them, but it’s worth mentioning that if you’re a more reluctant outdoors person, the book may not prove comprehensive. Some activities, such as those based on foraging or plant identification, assume that you already know them. Don’t let that put you off though – there’s plenty here that is pick-up-and-go too. The focus of the book is on plants and animals rather than earth sciences, so there’s nothing on weather, stars, or rocks for example. If you want to do some games or activities around cloudspotting or the night sky, you can improvise. I really enjoyed Learning with Nature, and I can’t wait to try some of the activities with family and friends. If you’re in charge of a group of children, whether in a school or an extracurricular activity, or just a big family, you’re likely to get even more out of it than I did. 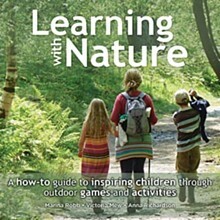 Learning with Nature will be available from Green Books in January. Reblogged this on Green Books Blog.